We roundup the latest news from IT analysts and firms to see which tech categories have been doing well, which haven’t, and what’s forecast to be big next year. Hybrid-flash is prevailing over all-flash as virtualisation hits critical tipping point in the enterprise, according to the 2016 State of Storage in Virtualisation report released by ActualTech Media and Tegile Systems. 61 per cent of those who took part in the survey indicated they currently use a hybrid storage array within their data centre. 23 per cent of respondents use all-flash arrays in combination with other storage infrastructure, whilst only three percent run their entire storage environment using all-flash. Worldwide sales of 3D printing machines which produce metal parts were up 45 per cent in Q3 2015 compared to the same period one year ago despite the woes in the overall Industrial/Professional 3D Printer market, according to Context. Preliminary findings also show that shipments of metal 3D printers alone have grown 51 per cent so far in 2015 compared to the same period last year. 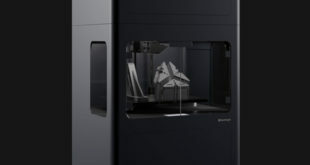 While sales of metal 3D printers accounted for only seven per cent of the global 2,743 Industrial/Professional printer unit volume shipments in the Q3, revenues from metal 3D printers took 31 per cent of the overall category total, up from 22 per cent in Q3 2014.
Business inkjet shipments maintained their momentum in the third quarter of 2015 with 2.2 million units shipped and 16.3 per cent year-over-year growth, according to IDC. 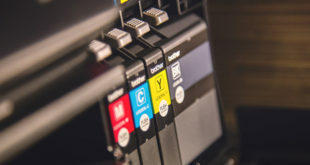 The analyst also noted that shipments of basic and managed print services devices continued to grow, posting more than 380,000 units in 3Q 2015, and high-end colour laser devices (45 ppm+) recorded double-digit year-over-year growth (15.3 per cent). Gartner estimates that 1.6 billion connected things will be used by smart cities in 2016, an increase of 39 per cent from 2015. The firm also revealed that during the next five years, consumers will add more devices to their personal portfolio rather than consolidating it. By 2018, Gartner believes a consumer in a mature market will use and own more than three personal devices, and estimates that in 2016, the installed base of devices will total 7.8 billion units (including wearables, phones, tablets and PCs) and is on pace to reach 8.3 billion units in 2018. Read more tech market snapshots here.